We Gotta Get Out Of This Place / E.T.I. The last decade of the twentieth century weren't exactly the kindest years to classic rock acts of the 70's. Albums from these bands weren't very well-received, therefore they usually fade into obscurity. I mean, not many people are talking about albums like Heart's Desire Walks On or Van Halen's Balance these days. Most of these albums are forgotten, and often for good reason. 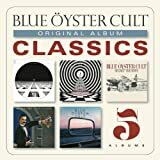 One album from a classic 70's rock band that was forgotten, but I find to be a surprisingly great album, is Blue Öyster Cult's 1998 studio album. 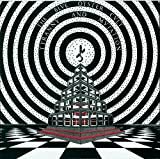 Being the band's thirteenth studio album and (at the time) their first in a decade, it would be expected that Heaven Forbid would just be another bland album that tries to recapture past glories. However, it presents itself as a surprisingly varied album. Of course there are quite a few stale moments that just sound uninspired, but there is thankfully an equal amount of fresh, catchy, and just plain enjoyable songs. The album opens right up with what may be the band's heaviest song, "See You in Black", which almost reminds me of something that could be on a Metal Church album. The driving main riff is pure classic heavy metal, and is up there with the band's best. "Hammer Back" and "Power Underneath Despair" are a couple more heavy metal-oriented tracks that are among the highlights. "Still Burnin'" is a great old school hard rock track, while an oddball is "Real World". This almost sounds straight out of a Phish album, with one of the catchiest acoustic guitar hooks I've ever heard. While it's no Tyranny and Mutation, Heaven Forbid is a pretty great album. There are some mediocre moments on the album, but that's to be expected from a 90's album from a classic rock band. If you're a fan of classic hard rock and heavy metal, this is well worth the listen. Hope you found this review helpful, feel free to comment! I have always loved the cover of this album since I was a kid. 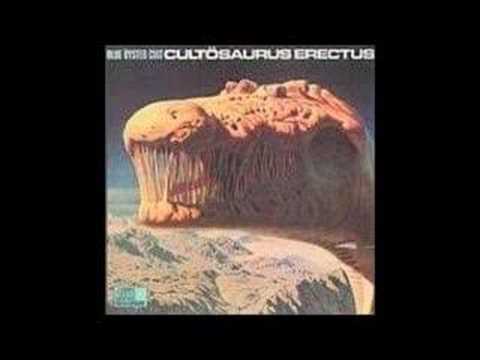 My friend’s older brother had this on vinyl, and my interest in dinosaurs and science fiction art made this an easy eye-catcher. 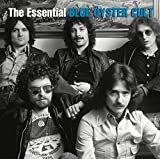 Blue Oyster Cult were often said to be the American answer to Black Sabbath but I have never been able to hear that in the music. For this album here, they got Martin Birch as producer, who was already known for his work with Sabbath and Deep Purple’s “Machine Head” and who would go on to produce albums for Iron Maiden. BOC and Black Sabbath toured together, too, on what was called the Black and Blue tour. Still, the band doesn’t sound at all like Black Sabbath. But they don’t have to. I’ll admit it took me some time to get into this album. Having been sufficiently impressed with their first three albums and having a greatest hits album plus formerly owning two other later albums on cassette, I had more expectations from this one. I kept adding it to a playlist of albums to review and then taking it off again. Finally I decided to give it my full attention and I was pleasantly surprised in parts. “Black Blade” is a song based on the writings of Michael Moorcock. It’s hard rock pop with punk edge in parts and tells the story about an evil blade that possesses its bearer to kill. The story is a bit similar to the Heavy Metal movie theme where a mysterious green orb also causes otherwise gentle people to behave in a bloodthirsty manner. Incidentally, BOC were closely involved in the music soundtrack of Heavy Metal, and some of the songs would end up on their next release. There’s some nice eerie music with creepy sound effects in the middle. One of BOC's classic fantasy sci fi type story telling songs, Eric Bloom’s vocals are as usual full of passion. This is a great theatrical hard rock number with rhythm changes and synthesizer; like prog hard rock almost. The blade speaks at the end in metallic voice. “Monsters” is next, and why didn't I notice this one right away? A hard rock track with an almost seventies danceable intro then suddenly goes jazz with sax and piano drums bass and no guitars. That fast boogie part contrasts great with the hard n’ heavy part and then another jazz break. What are these guys trying to prove? Then an almost boogie rock prog section, after which the song slows down with some nice piano. A new melody is introduced. The chorus fast with piano bass drums and lead guitar. Seemingly seamless and well-crafted, the song wraps up with heavy hard rock bit but with added sax and groove. Great song! “Divine Wind” is slow with piano, guitar and a hard bass but has a menacing pace almost. “If he really thinks we're the devil / then let's send him to hell”. The music is steady and not varied like the first two tracks. Track three is a good spot for it. The backing female vocals sound a bit like heavier Pink Floyd. “Deadline” is more pop with hard strummed guitar and synthesizer. Donald “Buck Dharma” Roeser takes the vocals. Again, the music is minimalistic but the lead guitar adds colour. “The Marshall Plan” is a story about young Johnny who goes to rock show with Suzie but sees her leaving with the band. Johnny decides to take up the guitar and become a rock star. The “Smoke on the Water” riff sneaks in at one point, the original song recorded by producer Martin Birch. There’s a spoken part which sounds a bit cheesy as Johnny talks about his plan to play heavy music. Don Kirshner’s voice introduces the now successful Johnny. There’s a fast, upbeat hard rock instrumental with lead guitar. The music has become more varied again. The story is a bit trite but it’s a fun song. “Hungry Boys” is a fast paced hard rock with piano and an electric drum break. It’s a typical BOC fast boogie rock number. Drummer Albert Bouchard takes the vocals. “Fallen Angel” features bassist Joe Bouchard on vocals. His singing is rough, almost a shout, but possess a very pop rock / hard rock sound. The synth-led melody is catchy, and the guitar solo like pop-sounding Kansas. The music reminds me of the Canadian pop-rock band, Prism. “Lips in the Hills” brings us back to the exciting rocker ability of BOC and it was the first song to really grab my attention. Eric Bloom is back on vocals again. This is hard rock BOC! Nothing complex or overly simple, just guitar rock energy and fury with a one of the band’s typical suspense story tales. “Unknown Tongue” concludes the album. It’s hard rock with piano and yet another almost horror suspense style story piece about what sounds like a slightly twisted young lady. There’s a bit of pretty but horror movie-type piano. A good track though less involved than the first two. 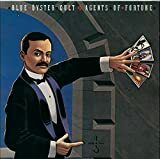 While this is not my favourite Blue Oyster Cult album, it does typify what a BOC album sounds like: essentially a rock band with hard rock and heavy rock up front and occasional meanderings into traditional heavy metal and progressive trim where suitable. What is to be admired and liked is the band’s ability to produce exciting and at times very interesting songs about aliens, ghosts, science fiction and the super natural. It’s almost as if the members know not to take themselves seriously about their taking their work seriously, if that makes any sense. There’s a tongue in cheek quality to the genuine sincerity they put into their entertainment. For that, I like them. But I wish this album had a few more memorable tracks for my taste. 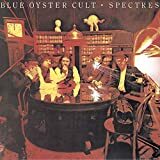 In the early 1980’s, Blue Oyster Cult was proclaimed to be one of the heaviest bands among my friends who had older brothers who brought home heavy metal cassettes. After being blown away by Judas Priest, I bought “The Revolution by Night” and heard that heavy rocking first track “Take Me Away” but was disappointed with the rest of the album. In fact, after having purchased four BOC albums in my time and a compilation album, I have come to the conclusion that they were never really that heavy. Though original manager Sandy Pearlman wanted them to be America’s answer to Black Sabbath, I think they are in a different league. 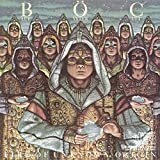 BOC managed to incorporate heavy metal guitar riffs and solos it’s true, but they just as easily shifted to boogie rock, blues-based barroom rock, and even naturally blended some more progressive tendencies sometimes all in the same song. Never really too metal; never exactly true prog. But during the 1970’s, Blue Oyster Cult established themselves among the rock band elite. While checking out proto-metal albums from 1969 to 1973, I decided to order “Tyranny and Mutation” to see if there wasn’t any really good example of early heavy metal. What I found was that most songs include some great heavy guitar sounds, riffs, and solos but never stay heavy throughout. There’s often some more radio friendly verse that lightens the mood or perhaps a blues rock segment, some piano, etc. Furthermore, the vocal delivery of the various lead singers is often quite theatrical in a tough-guy-from-New-York-singing-about-science-fiction kind of way (English has no adjective for that). The music of BOC seemed more geared towards entertainment than head banging. And therein laid the charm of the band’s music. This was a point that I seemed to have missed all these decades. BOC were not about serious doom metal or hard rock. They were about science fiction, about ghosts and aliens, about fighter aircraft and urban legends. They were about rock, sometimes just feeling good hard rock, sometimes about heavy rock, sometimes about a progressive journey focused more on the story than the machinery that got you there. 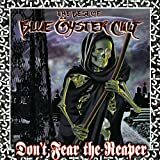 And this album has really begun to connect me to the music of Blue Oyster Cult. Side one is the more rock and roll part of the album and side two the more progressive; however both sides lean toward the other at times. Some of the heavier riffs occur on side two in “Wings Wetted Down” and “Mistress of the Salmon Salt (Quicklime Girl)”. But “The Red & The Black” and “Hot Rails to Hell” give us the rock and roll approach of the band. Side one's closer, “Seven Screaming Diz Busters” (love the title) crosses the rock and roll approach with the progressive side of the band. Overall, the album has a fair bit of variety. Having three or four lead vocalists and various external contributing writers also helps to make for an album that doesn’t get stale. One of the things that has really caught my attention with this album is the music composition. The band make good use of two guitars and use keyboards effectively when they deem it essential to the music. The drumming is also very clever and I find myself really following the drums in a number of the songs. Thank you, Albert Bouchard! This is not a really heavy album but it has its heavy moments. It’s not progressive like Yes or Genesis but it has its share of creative music composition. And once again, there is a certain charm to the vocal delivers that give it a theatrical feel. 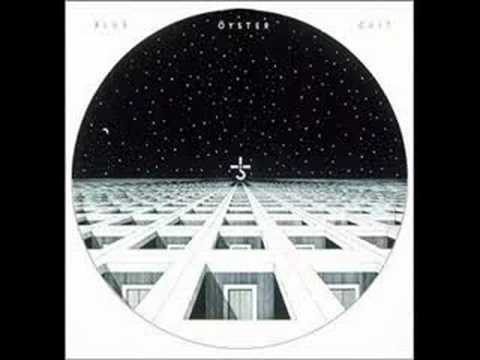 Blue Oyster Cult is about intelligent heavy metal with a sci-fi slant and with an attitude of artful pretense. Based on my appreciation for this album, I have now ordered three more classic albums with the confidence that I will enjoy them for what I know to expect this time. As a metal album this is not quite what I was looking for. 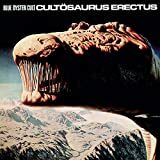 However as a creative heavy rock album this could well deserve nearly five stars. A live album recorded on the Secret Treaties tour, On Your Feet and On Your Knees captures the band at the peak of their powers. Although some of the extended soloing sections don't add a whole lot (especially when the band take an occasional left turn into blues rock) and the production isn't stellar, on the whole this is a high-energy affair with great renditions of material from the first three albums and some non-album pieces besides (the cover versions of I Ain't Got You - retitled Maserati GT here - and Born to Be Wild, and the jam Buck's Boogie). The three picks from the debut album are especially interesting here since they're given a thorough makeover, upping their energy and making them harder and somewhat more metallic than the studio versions, though at the same time I could have honestly done without the cover versions in favour of more material from Secret Treaties. No BLUE ÖYSTER CULT movie reviews posted yet. 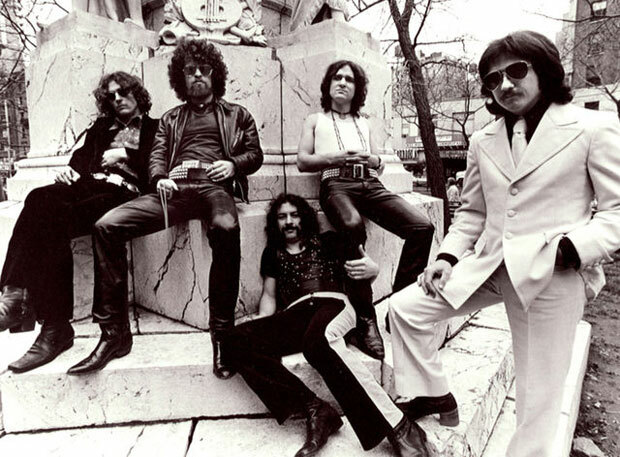 Blue Oyster cult is one of the most under-rated band in the history of rock. All three of their first albums is among the best of early hard rock/proto metal. One could even go as far as them being one of the gothic bands as well. Themes of melancholy, full of vampires, despair re verb throughout much of their work. When they are not going gothic they go science fiction and in many cases turn them into gothic themes. They are a difficult band to define going in many directions through out the years. This quality (or curse) has haunted them somewhat but for me, it a true strength. Not to mention one of the best guitar players that ever wielded an axe in Buck.